I recently heard of snakes being referred to as “nope ropes!” but that may have just been referring to the ones that can harm people. Snakes and I are not the best of friends. 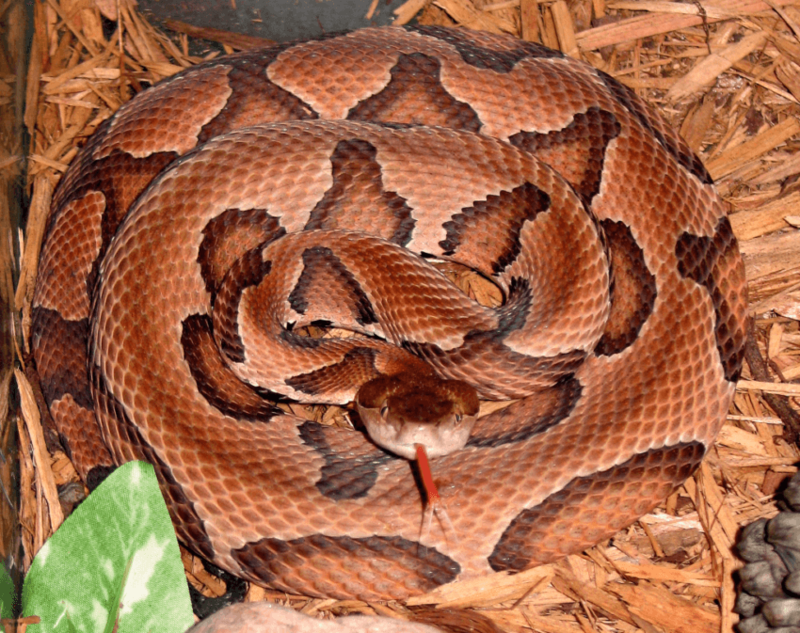 As you may know, there are venomous and nonvenomous snakes, and you can learn to tell the difference. But, if I ever see a snake, I am not going to spend a whole lot of time looking at it to see if it is venomous or not – I will run the other way! 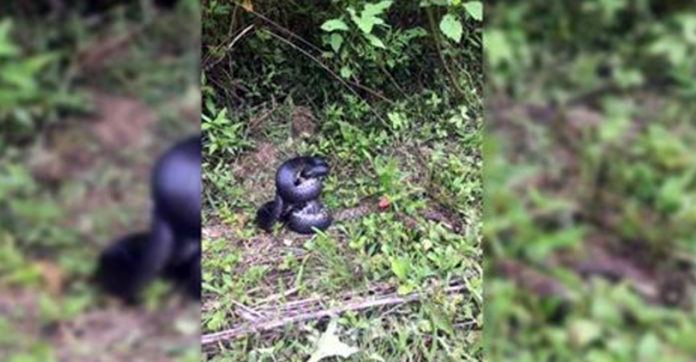 Amber Bays recently shared a video of what can only be described as snake on snake violence – but it was a good thing! 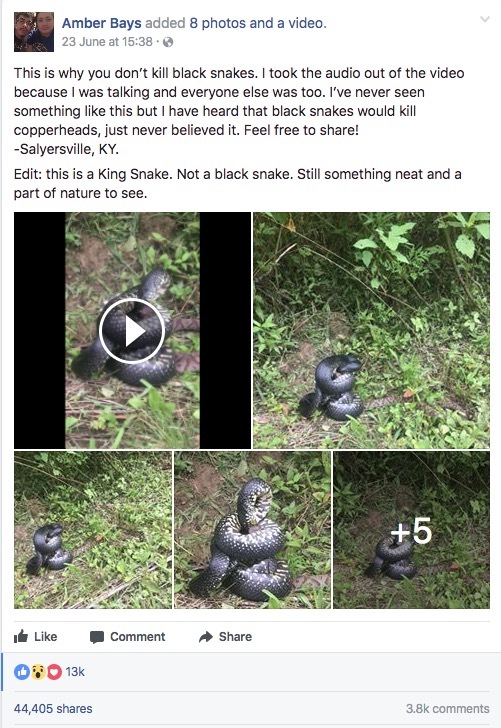 The king snake in this video clip actually ate a copperhead! 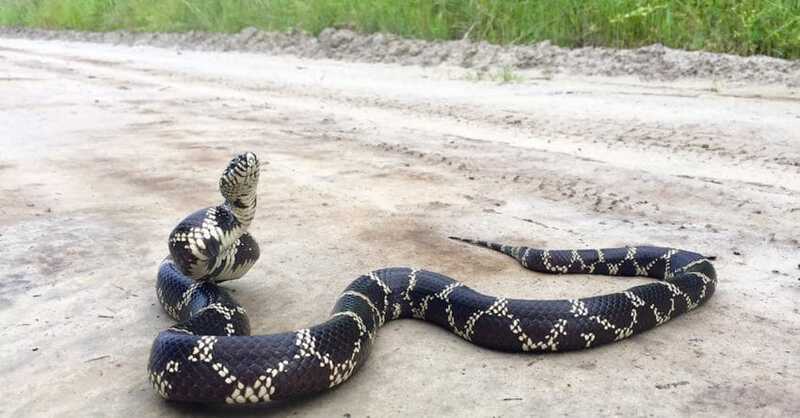 Bays, who lives in Kentucky, had always heard that you shouldn’t ever kill a king snake, but never knew why – now she knows! One other important reason is that their numbers in the wild are decreasing. According to the Savannah River Ecology Laboratory, eastern king snakes can be found living in the southeastern United States. A king snake may grow to be seven feet long and will kill its prey by suffocation – but they are not harmful to humans!